Gregory Florist has been a family owned and operated business since it opened in 1967. 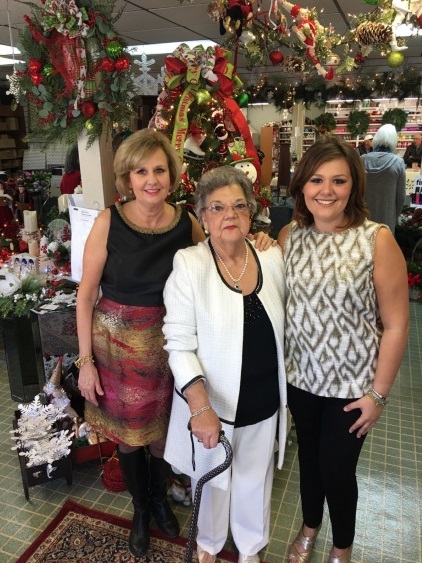 Connie Gregory was the original manager of Gregory Florist and although she still works in the shop part-time, today, her wonderful daughter-in-law Sonja Gregory is the current manager and full-time operator of the store. Gregory’s specializes in high-end and silk arrangement in addition to priding themselves in their baby gifts and very popular add-ons of plush collectibles, candies, Colonial Candles and Yankee Candles. Annually, when Sonja is not working in the 4,000 s/ft flower shop, she takes a day to talk to the local middle and high school on Career Orientation Day. Gregory’s Florist has been an important part of the Gregory family & community for years; not only is the shop lucky to have Sonja, but so are all of our customers. She is dedicated to Gregory Florist and serves excellence each day, just as Connie has and continues to do for the citizens of South Boston, VA and its surrounding cities. GREGORY FLORIST is a professional local florist proudly serving South Boston, VA and surrounding areas. Our friendly and knowledgeable staff is ready to assist you when you need flowers delivered locally or anywhere in the world. For your convenience, we also offer daily delivery service to local hospitals and funeral homes. Whether your wedding or party is formal or casual… a small gathering or the social event of the year… we can help you plan an event that's a "blooming" success! Call us in advance at (434) 572-3908 to schedule your consultation. Remember, you can always depend on our staff to help you choose funeral flowers for a friend or loved one. We will design and deliver an arrangement that thoughtfully conveys your heartfelt condolences and serves as a lovely tribute to the deceased. Thank you for visiting our website for flowers delivered fresh from your local south Boston, VA flower shop of choice, Gregory Florist!